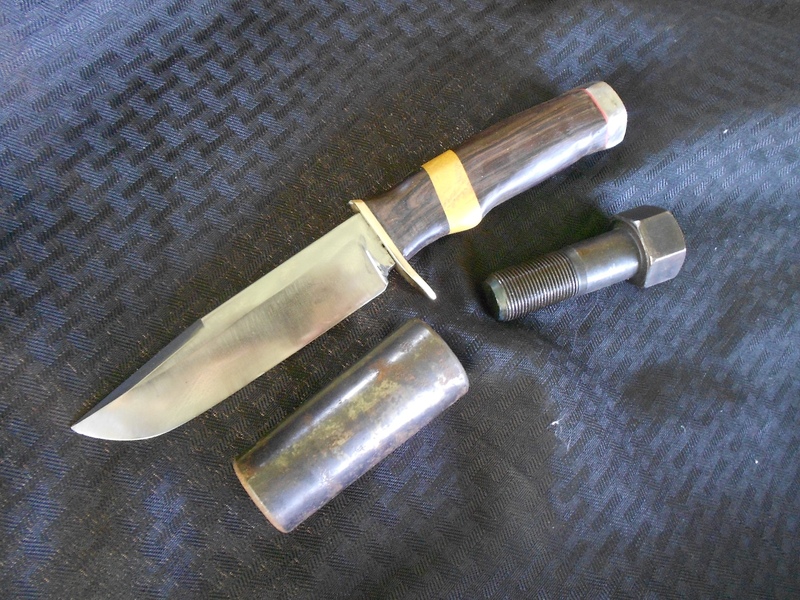 A few projects from the Forge..... - The Iron Forge Fire Blackmithing Forum. A few projects from the forge. First up is a knife forged from a roller bearing taken from a CAT earth mover. 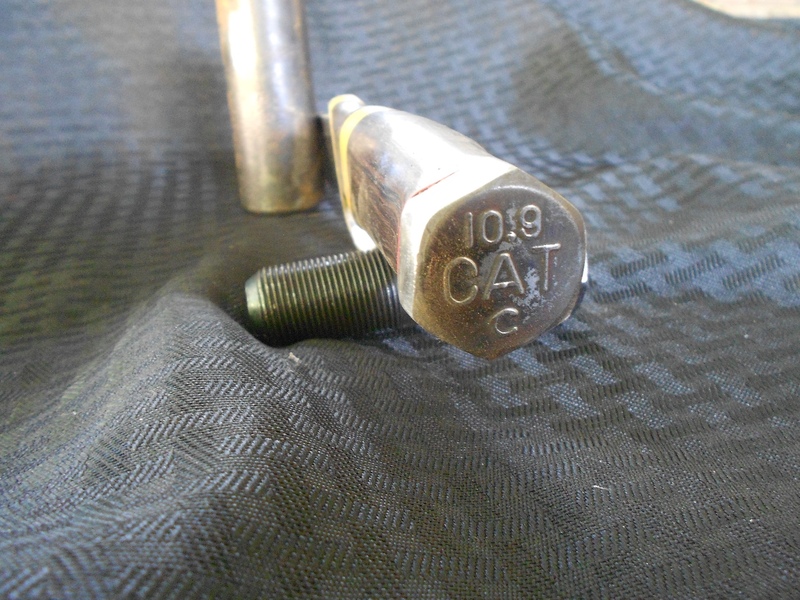 The bolt used as a pommel is from a CAT bull dozer. Next up is a Small Damascus EDC made for a gentleman. 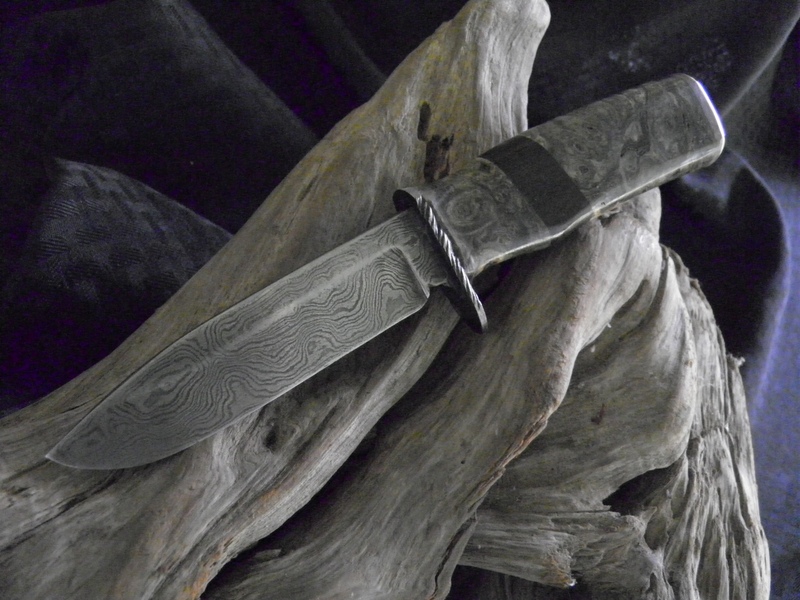 It's forged from 1095/52100 with buckeye burl handle. 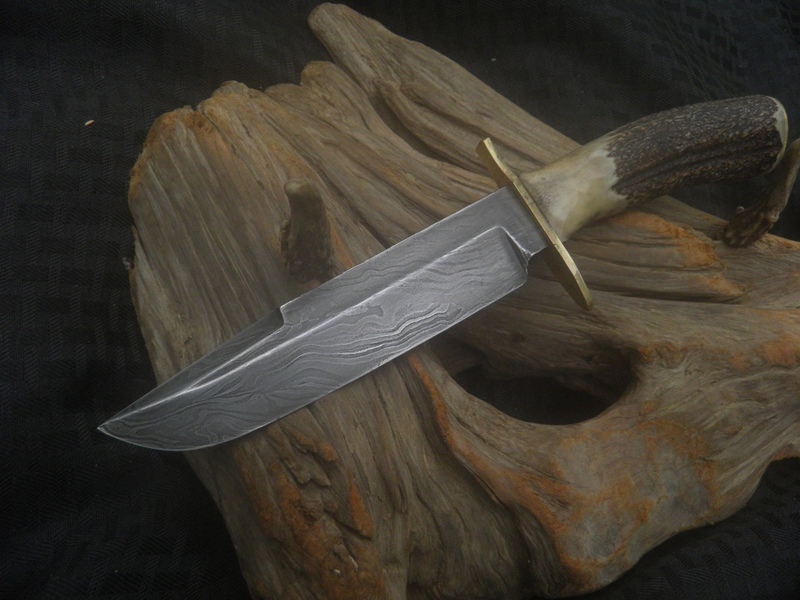 This one was a 4 bar twist forged from 1095, L-6 and 52100 with an elk antler handle. 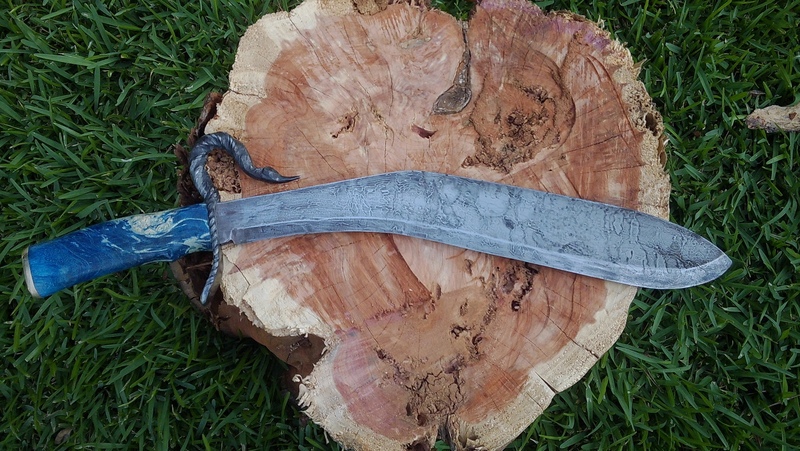 Last up is a 15" Scorpion Tail Kukri forged from a piece of 2" crane cable with a blue stabilized burl handle. The Scorpion tail guard was forged from a piece of 1/2" cable. 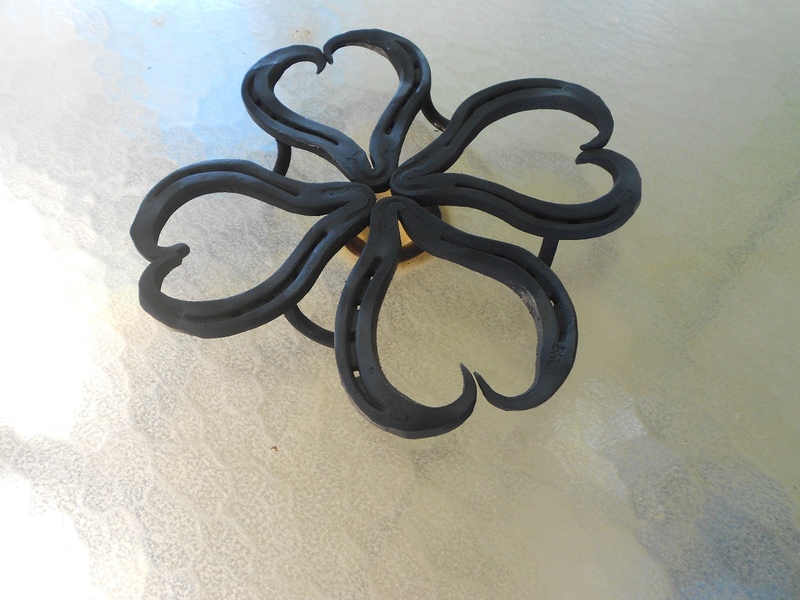 And a bonus, a little trivet forged form horse shoes.